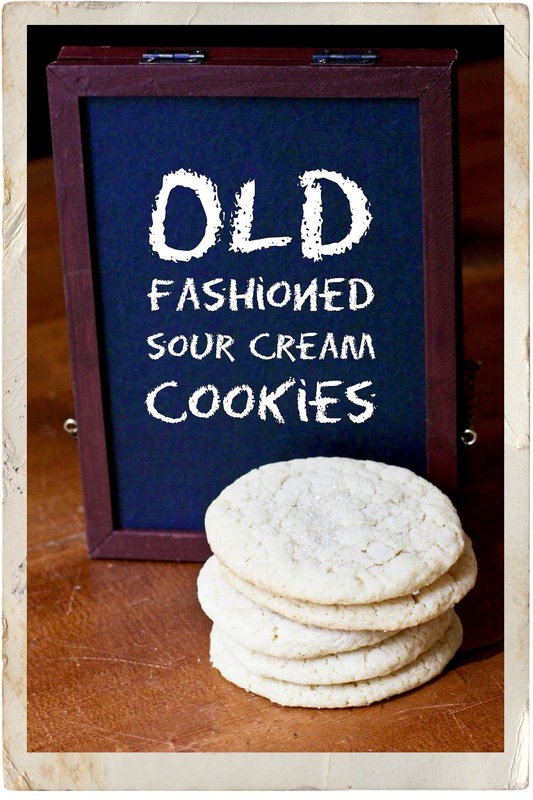 so i'm back with recipe #16, old-fashioned sour cream cookies. heat oven to 425 degrees. mix shortening, sugar, egg and vanilla thoroughly. measure flour by dipping method or by sifting. blend dry ingredients; add to sugar mixture alternately with sour cream. divide dough; roll out to 1/4" thick on well-floured surface. cut with 2" round cutter; place on greased baking sheet. sprinkle with sugar. bake 8 to 10 minutes or until lightly browned. makes 4 to 5 dozen cookies. this is a really fabulous cookie! they are really yummy, super soft sugar cookies. i'm sure i will be making them often. and just a little personal tip, i rolled the first dozen out with flour as instructed in the recipe but then i switched to powdered sugar, which made them even more tender.